Currently we are using a range of creative techniques to help aid our writing. This week we have written a myth based upon Tchaikovsky's 1812 music. This has inspired us and helped us to come up with a range of ideas to make our writing even more amazing. We listened to a section of the music and we could hear 5 different parts. This became the different sections of our myth. We spoke about how the different parts made us think and feel a range of emotions. 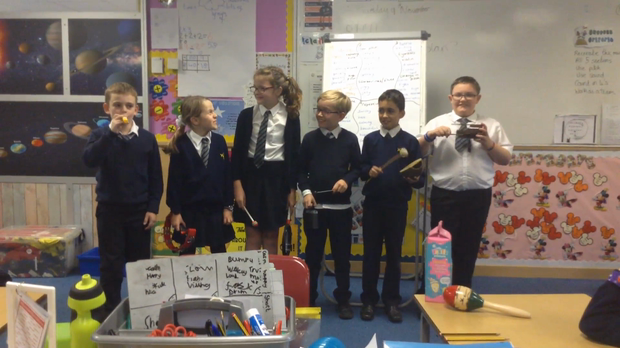 Afterwards, we had a go at recreating the music using percussion instruments. See what we did below! This week we've had the challenge of writing our myths. They are amazing. We are going to turn them into a book and become real life authors.